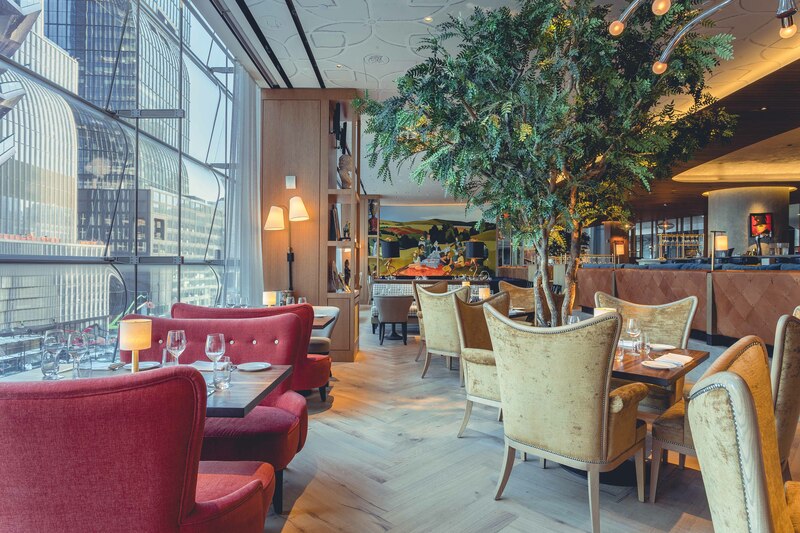 Today marks the opening of queensyard, a new restaurant, bar and café by D&D London within the much anticipated Hudson Yards development in Manhattan. Offering luxury retail, work and residential space on the West side of Manhattan, Hudson Yards is the largest private real estate development in US history which, upon completion, will form an entirely new neighbourhood on the West side of Manhattan. Located on the fourth level of The Shops & Restaurants of the development, queensyard boasts ceiling windows that offer stunning views of the Hudson River and Thomas Heatherwick’s Vessel structure. 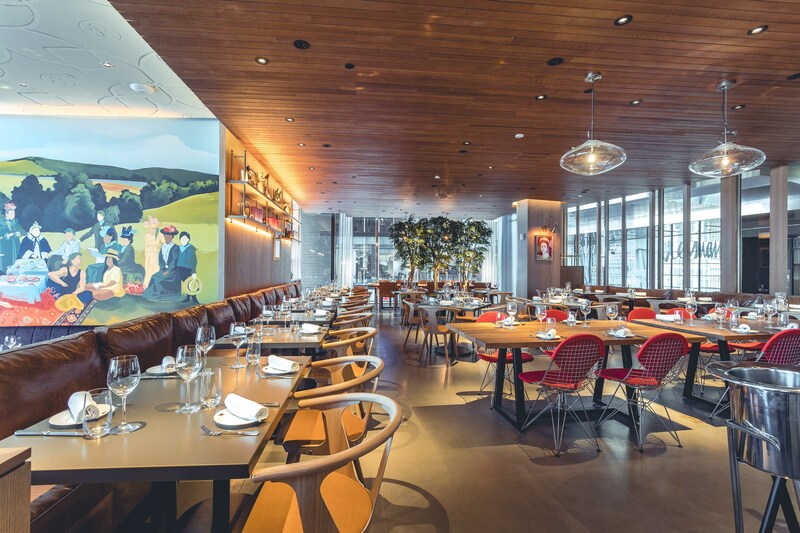 The new restaurant will join a collection of renowned fashion brands, global business offices and dining spots including Thomas Keller’s latest restaurant as part of the new development. 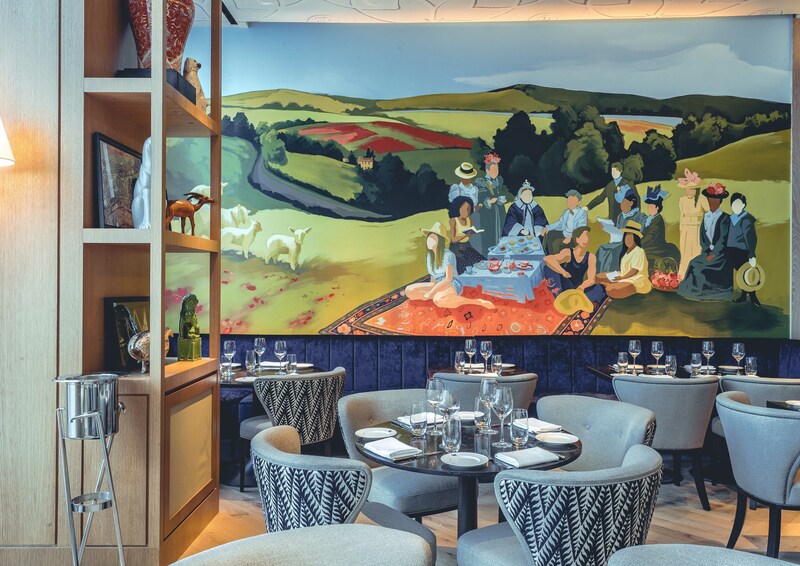 With a menu taking inspiration from both sides of the Atlantic, queensyard aims to bring a flavour of London to New York, with British-born D&D London chef Owen Sullivan overseeing the menu. The food offering blends classic English cooking with more modern dishes, reflecting the international food scene in the UK today. Each dining space is inspired by the entertaining rooms of a traditional home: a relaxed Kitchen for casual meals, a sophisticated Dining Room for more formal dining, a modern Cocktail Bar, and a daytime Café which turns into an evening Wine Bar. 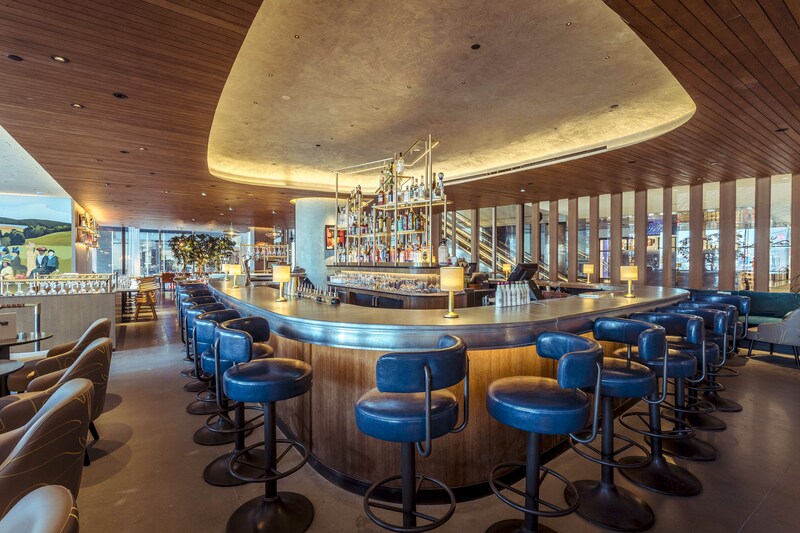 “To match the scale and boldness of Hudson Yards we wanted to create a flagship restaurant that embodies the neighbourhood in which it will thrive,” said Chairman and CEO Des Gunewardena. “With thousands expected to work, live and visit this area, we know one thing to be true: food brings people together, and that is our main focus with queensyard. We’re building a beautiful environment where residents and visitors will be comfortable, with a menu which they will eat well.” The dining spaces at queensyard will comprise: The Kitchen: Appropriately located at the heart of the restaurant with a menu of classic British staples and sharing plates, such as Venison scotch egg with Cumberland sauce, Beef and bone marrow pies, and Crispy fingerling potatoes with a mushroom and Cheshire cheese ‘hot pot’. Designed with glass walls that open onto the shops in peak periods, the Café offers morning breakfasts and grab-and-go lunches during the day, before closing off into a cosy Wine Bar each evening. The Wine Bar will feature bottles hand-picked from family-run estates and emerging wine regions around the world. Directly overlooking Thomas Healthwick’s spectacular Vessel, this sophisticated lunch and dinner spot will serve modern dishes with British flair, including White crab brioche “soldiers”, Beef filet served over bone marrow and truffle toast, and Warm doughnuts with salted pecan caramel and raspberry ripple ice cream. Afternoon tea will also be served here daily. Led by head mixologist Jeremy Le Blanche, The Bar features a line-up of modern, classic ginbased cocktails using house made syrups, infusions and seasonal, local ingredients. A Gin Martini Trolley, offered tableside, allows diners to choose from a selection of gins and vermouths for a personally curated cocktail.